Jon focuses on the representation of companies in technology and transportation logistics transactions, as well as a variety of other industry sectors. Jon is a Certified Information Privacy Profession/United States (CIPP/US) with the International Association of Privacy Professionals. 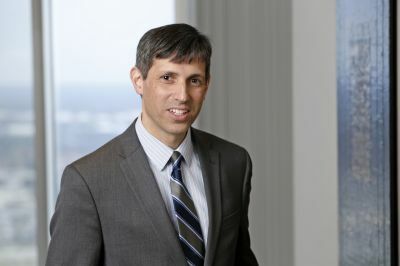 He is also the co-chair of Jaffe’s Privacy & Data Security Practice Group. Jon has extensive experience counseling clients in all industry sectors on a range of privacy, cybersecurity and information management issues in the context of vendor/vendee agreements, mergers and acquisitions, compliance, business strategy, technology transactions and litigation, incident response preparation, insurance, data breach/incident, and regulatory compliance issues. Jon’s representation in this area includes software/cloud service providers, banks, manufacturers, restaurants, real estate and housing companies, and marketing firms. A significant part of Jon’s practice includes advising clients in cloud computing and software as a service (“SaaS”) transactions. His significant experience in this area includes counseling clients in SaaS transactions (vendor and vendee) involving unique issues related to interstate and cross-border regulatory and statutory compliance, General Data Protection Regulation (“GDPR”), Protection and Electronic Documents Act (“PIPEDA”) and the Data Protection Act 2018. Jon also advises clients on navigating the various jurisdictional and compliance requirements on the use of data and marketing. Jon also counsels clients in transactions involving software development and client-side software and hardware solutions.